Charlie’s grandmother recently rummaged through her wardrobe and donated a ton of stuff, but she had a few pieces she couldn’t quite give up. Luckily, she knew I refashioned clothes and hoped I would be interested in the few remaining pieces. I saw potential in some of the remaining clothes and snagged them. I love the idea of Charlie and I using stuff his grandparents once kept. The two easiest refashions — VEE ONE and VEE TWO — were refashioned from two skirts too small and too long for me. I kept the original hem on both skirts, hacked off a little more than 12 inches from the top of the skirts, and created a new waistband. 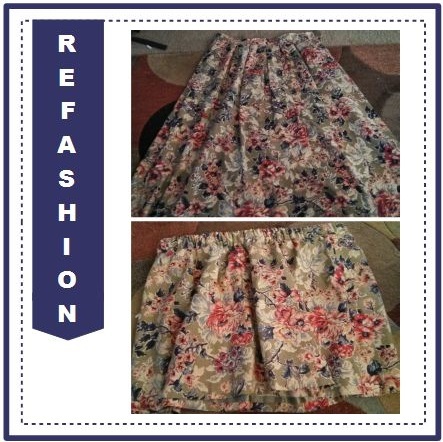 I might fiddle around the waistband on the floral skirt — VEE ONE — because it feels a little big. I also snagged some old plain blankets from Charlie’s grandmother and plan to use them in a simple quilt. I think the blanket would be too heavy and clunky for a quillow. However, my refashion projects have been my main focus these past few months, putting the quillow and quilt projects on the back burner for now. Who needs a quilt in the summer anyway? I love the floral skirt. Classic. 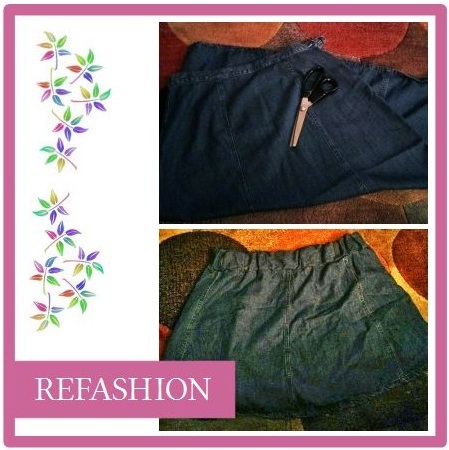 Love the creativity of this refashion and DIY blogger.